Pneumatic timers are designed to be functional without the use of electrical currents. These types of products excel in industries where electrical currents are undesirable. A small electric spark can cause devastating damage in many industries that use flammable materials. 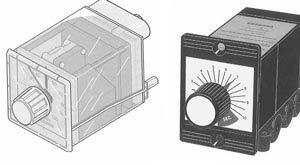 Basic timers use a piston and a control valve. The air in the system pushes the piston towards the conclusion of a chamber. On the other end of the chamber, a small valve controls the flow of air or inert gases. Timers determine how long it will take for the piston to reach the end of the chamber. The timer creates and fills a vacuum in order to control the system. In addition to controlling airflow, the piston is sped and slowed by the timer. When too much air builds up in the chamber, the valve at the other end releases air in order to stop the chamber from filling up too quickly. Conversely, the valve also has the ability to close, which stops air from rapidly escaping the chamber. Pneumatic timers can be much more precise because of their ability to control air loss and gains. All pneumatic timers have precise controls that allow them to state how much time will go by until the piston opens the chamber. Timers typically come with dials that control how wide the valve opens during an operation. As a result, operators are able to have accurate timing without electrical impulses or timing devices. If you are interested in pneumatic timers, it is always wise to contact a local professional in the field. There are many different types of timers on the market, and a professional can help you decide what is the best product for your desired application.